The staff services and very helpful especially Me.Jorge . The room designs up to the standard and modern. Very handy for the Gementemuseum. And very quiet and comfortable. High quality apartment, everything looks new and modern. Very comfortable bed. Great shower and bathtub. Excellent view overlooking the city. Great location and extremely quiet. Had a gym, close to centre of Den Haag. You could rent quality bikes. Has big rooms. Has snack machine I'm lobby if you need food. Has coffee machine Yiu can help yourself anytime. Greta location,very nice spacious room,well equipped kitchen,friendly staff.Excellent sound isolation.WiFi was stable and fast.Comfortable bedding.Will gladly recommend this establishment to my friends. The bed was very comfortable. The hotel was quiet and we enjoyed the sense of privacy due to the fact that the rooms had apartment facilities. The design of the room was beautiful and functional. Bed was very comfortable and it was very quiet and secure. They staff was also very friendly and helpful. Free laundry facility, good breakfast and Nespresso in the room! We had a great stay Nice apartment. Very good bed. Lock in a great price for B-aparthotel Kennedy – rated 8.8 by recent guests! B-aparthotel Kennedy offers fully equipped spacious apartments and hotel rooms. B-aparthotel Kennedy has been renovated in 2016 and features free WiFi and air conditioning. All accommodations are fitted with a flat screen TV, a bathroom and seating area. The 1-bedroom and 2-bedroom units have a fully equipped kitchen, including a four pits cooking stove, dishwasher, refrigerator and microwave oven. Coffee and tea making facilities are featured in every room. 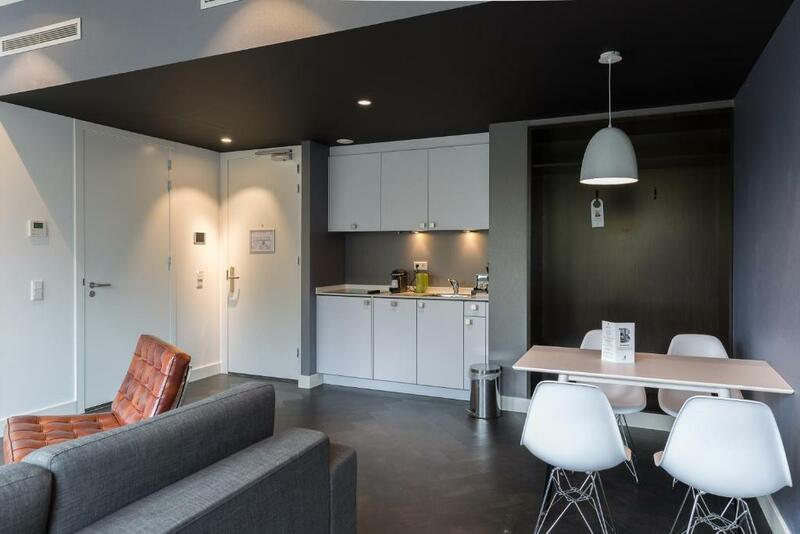 B-aparthotel Kennedy is fitted with a fitness gym and a laundry room for communal use. Daily breakfast is served in the breakfast room. There is a limited number of rental bikes on site. The Hague city center is 1.4 mi from the hotel. The nearest airport is Rotterdam The Hague airport 11 mi away and Schiphol airport is 40 minutes away. 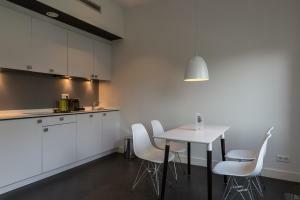 This property is located close to tourist attractions Gemeente museum, Museon and Omniversum. Madurodam is 1 mi away. The bike ride to the beach is 15 minutes. When would you like to stay at B-aparthotel Kennedy? This studio features air conditioning, tea/coffee maker and seating area. Private parking is available on site (reservation is not possible) and costs EUR 9.50 per day. 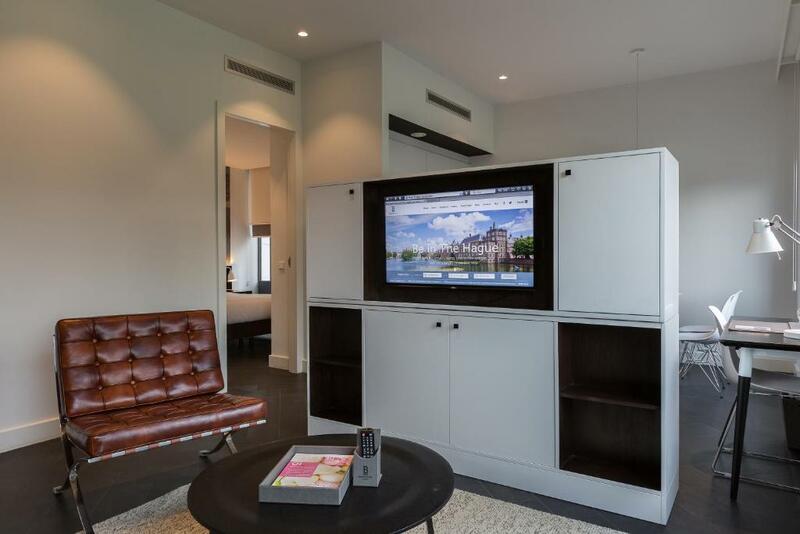 This apartment has air conditioning, high-speed WiFi and a seating area. A foldable sofa bed for 2 children up to 13 years old is featured. Please note that use of the sofabed comes with an additional € 25 per night and is available upon request. A foldable sofa bed for 2 children up to 13 years old is featured. Please note that use of the sofabed comes with an additional € 25 per night and is available upon request. Please note that the sofa bed is subject to availability and can be arranged at an extra cost of EUR 25 per night. This apartment features a dishwasher, sofa and kitchenware. Be free. Be independent. Be in your own space. B-aparthotels offers weekend-retreaters, travellers and long-stay corporate city slickers the freedom to stay in spacious, serviced apartments in key European city centres. Be in control. Be free to live your life, your way. Just be. Be at home at B-aparthotels, on workdays between 8am – 8pm there is staff to answer all your questions and help you in anyway they can. On Saturday, Sunday and bank holidays there is always a duty on call. 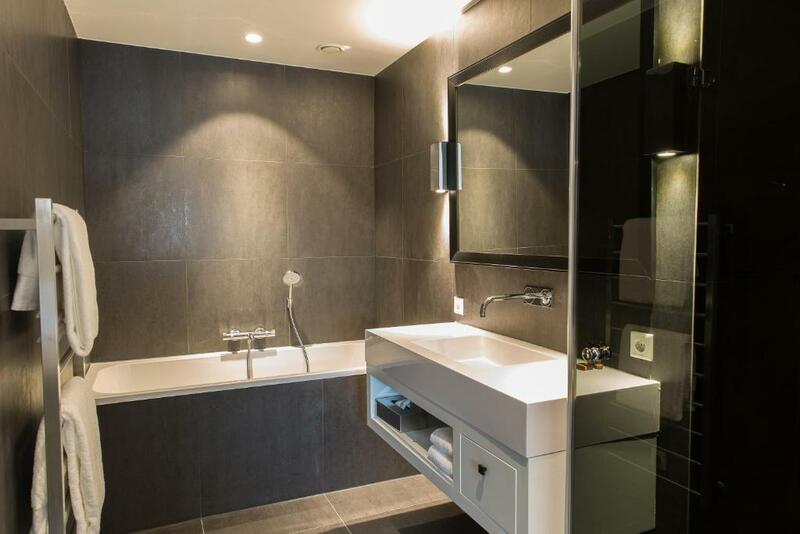 B-aparthotel Kennedy is one of two B-aparthotel residences in the Netherlands. Be a long-term or short-stay guest in one of Kennedy’s 60 spacious accommodations, comprising 1 bedroom apartments and studios. When connected together, a 2 bedroom family apartment can also be created. 30 of the apartments feature a bath as well as a walk-in shower. 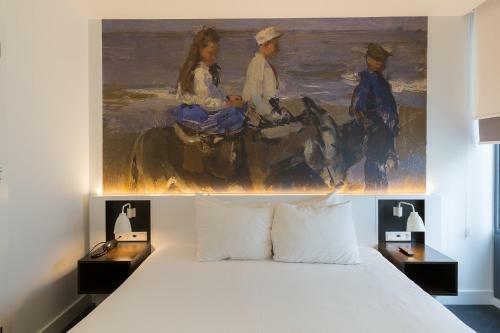 Uniquely situated between the city and the coast, B-aparthotel Kennedy is a 12-minute bike ride from Scheveningen beach resort and a 10-minute bike ride to the city centre. 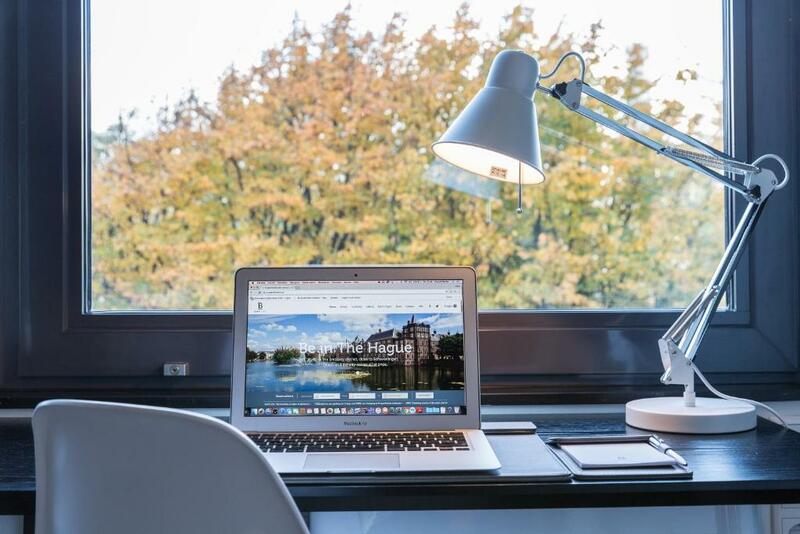 We love to be in touch with our guests, in order to provide you a great experience! 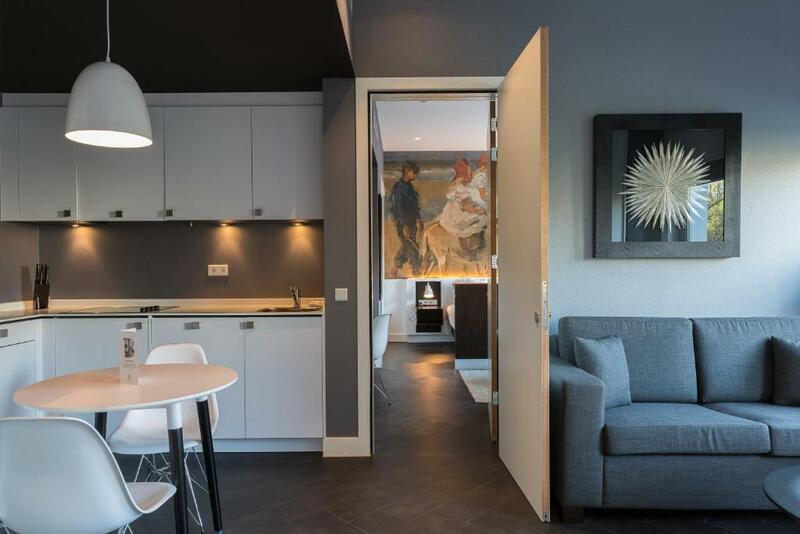 Kennedy is located in the Statenkwartier in The Hague and within walking distance of the Gemeente Museum, the Museon, the Peace Palace and the World Forum. B-aparthotel Kennedy is one of two B-aparthotel residences in the Netherlands. Be a long-term or short-stay guest in one of Kennedy’s 60 spacious accommodations, comprising 1 bedroom apartments and connecting studios. House Rules B-aparthotel Kennedy takes special requests – add in the next step! B-aparthotel Kennedy accepts these cards and reserves the right to temporarily hold an amount prior to arrival. Please note that free parking is subject to availability. In our experience the room was not clean and not was the room cleaned often enough. We found a previous persons dirty old shirt stuffed in the cupboard and there were massive dust islands under the bed. The plates were dirty in the cupboard. The heating towel rack didn’t work in the bathroom. All of these things are easy fixes which would have led to a much better level of enjoyment because the property itself is really nice. The location is quite nice and is close to some interesting areas. The location a bit far form the public transport and the don't have front services after office hour . Due to my late check in I didn't know the wi-fi password. Anyway, small inconvenient comparing to the other facilities in place. Very good location, quiet. Also, nice apartment with full conditions. Very comfortable and friendly design. My one complaint was the crazy shower! It is small and leaks a lot if you aren’t careful. Good hotel concept. The room was very clean, comfortable and functional. The beds were terrible. I mean the worst ever. Myself and my partner thought so. I tried the sofa bed and it was even worse. We are both fairly fit but came away with aches and pains from the crazy hard beds. Such a shame. Room large and well kitted out with full kitchen (minus oven), fridge, pans, cooker and microwave. We picked a superior room, but got a free upgrade to what I think was a deluxe room, which was spacious and useful for longer stays, and came with a bath and shower. Both were amazing. Bed comfortable and large, 2 TVs to watch in bedroom or living room. Added a complimentary late check out as we were enjoying a special weekend. Super spacious rooms. The room is more an apartment then really a hotel room. There are (wine)glasses, plates, a nice big refrigerator. Some rooms even have a dishwasher. So a perfect place to stay if you want to enjoy some wine & beers on your room with family and friends. 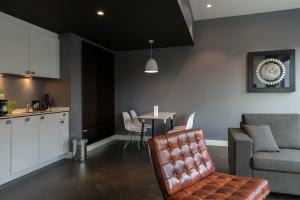 Or if you are staying for a week in The Hague and wanting something different than a real hotel. One of the best hotel experience. Nice staff, big and clean room. The kitchen is perfect for cooking. Llaundry service is free. The room was large and comfortable and the location was great.